What can seniors do to keep active and stay healthy? This is a perennial question for the elderly, their caretakers, their family members, and many other people as well. As we get older, it gets harder to do some of the things we used to be able to do with ease. It is obvious what this means in terms of being more careful walking up and down the stairs, or needing help to lift heavy things. 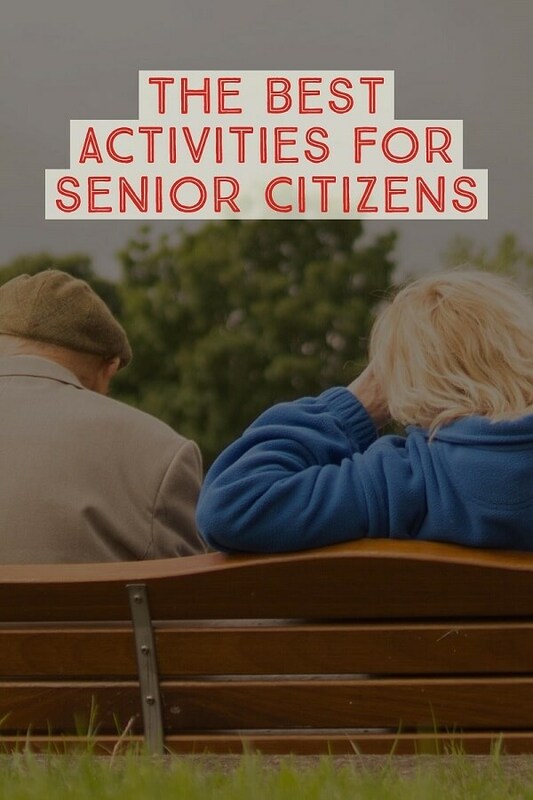 But many younger people do not think about what this means in terms of what activities seniors can do, and what a life is like where you used to be busy and active all the time, but now aren’t able to do as much at all. There are some activities that are great for elderly people to keep active and which keep both their brains and their bodies moving. Here are some of our favorite recommendations. Coloring books are something young children have used forever. Most people have fond childhood memories of coloring pictures of cartoon characters or drawing their own masterpieces in crayon, hopefully on paper and not on the walls. It is still highly recommended not to draw on the walls, but now grown ups and seniors can experience the joys of coloring again with adult coloring books. 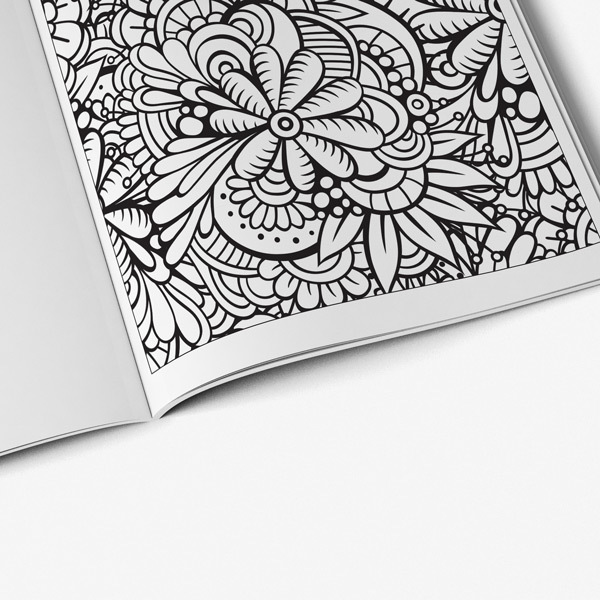 In fact many elderly adults are loving their coloring books designed for seniors citizens, because they are able to color without feeling overwhelmed with extremely intricate designs that are normal in adult coloring books. Coloring is also an activity that they can enjoy by themselves or with the whole family. Coloring is especially good for seniors because it has significant health benefits. Coloring helps to lower blood pressure, which is a common thing for seniors to need help with. It helps reduce stress levels for seniors citizens, and the aging process can be very stressful as elders come to terms with the new limitations they have on their bodies. Most importantly, coloring brings happiness and joy, just from the simple action of putting pencil to paper and making a beautiful piece of artwork. When it comes to exercising, there is nothing better for seniors than swimming. It is the ultimate low-impact activity. It puts no stress on your joints, and it gives you a full body workout. Water aerobics classes are a great way to have fun while staying in shape. Just make sure to take care of your skin and hair – the chlorine in the swimming pool can be very drying. Gardening is a great activity for seniors to do. Being outdoors has many health benefits. There have been recent studies confirming that coming into physical contact with the microbes in soil can help with depression and mental health. Gardening is good exercise, and it definitely works many of your core muscles. Just being in the sunlight (with sunscreen, of course, and with all appropriate precautions to prevent skin damage) is very healing for the psyche. And of course, you get the satisfaction of helping plants grow. If bending over to weed a flower bed sounds too strenuous, get your fix of the great out of doors by bird watching. You can bring along a comfy lawn chair to sit in very quietly while waiting for the birds to stop being shy and to come out, or you can even bird watch from the comfort of your kitchen or bedroom window. However you do it, the act of paying attention to nature has a great effect on the mental health, and can also have many benefits on physical health as well. Many people think that yoga is a hippie exercise that only young people who can fold themselves into pretzels can do, but the truth is that yoga is for everyone. Yoga is a practice and a journey, not a destination, and even the people who fold themselves into pretzels are still very challenged by the poses they work on. No matter what level of physical ability or disability you have, you can do yoga. There are modifications for every pose to make them challenging but not too strenuous. Yoga is all about aligning the body, and this is something that is a common problem for seniors. As gravity and habitual posture problems take their toll, along with decreasing bone density and hardening cartilage, it becomes harder and harder to stand up straight. Spinal curvature causes a whole host of health problems. A regular yoga practice can help straighten your back, which helps take pressure off your organs and benefits your whole body’s health. Creativity is one of the greatest things for the human spirit. You don’t need much to create art – all you really need is a piece of paper and a pencil or some coloring pencils. 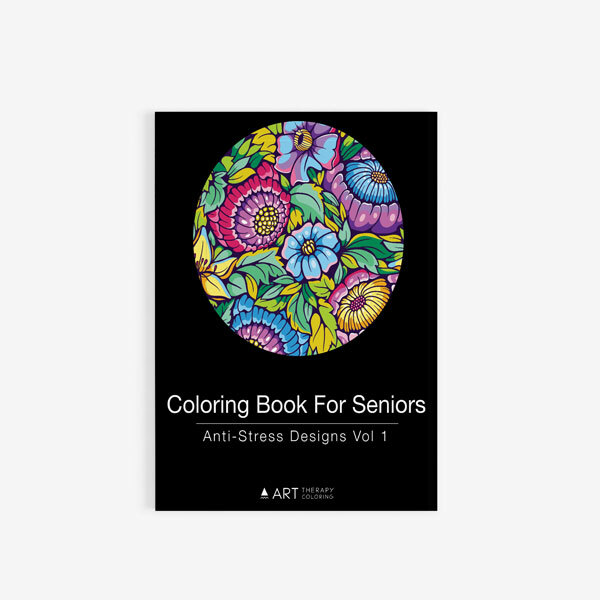 Better yet, senior citizens can nurture their creativity with coloring books from Art Therapy Coloring! We have many designed specifically for elderly adults.